We think everyone deserves a slice of birthday cake on any day for any occasion. 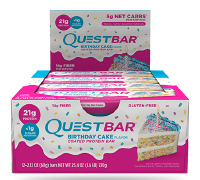 The Birthday Cake Quest Bar is one of our most fan-requested flavors and we can’t wait for you to join the party. 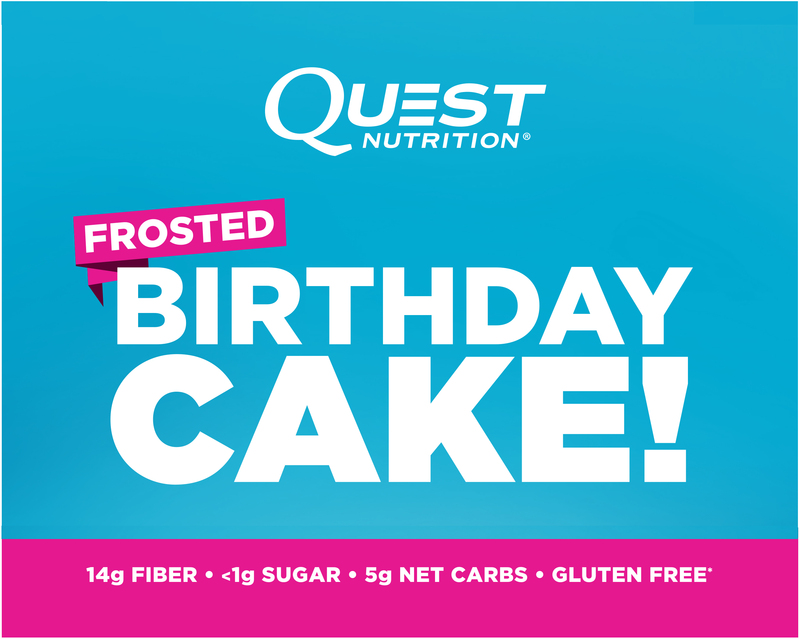 Bite into the celebratory taste of frosted birthday cake and let your cravings take you #OnAQuest.